Our staff is licensed as an SE and some of them are Doctors of engineering. This array of expertise will provide you with authoritative answers. E-Mail and FTP access Invitation letter to you What is a Structural Engineer ? The Construction Administration phase provides ongoing project controls and quality assurance during the course of the construction. As the Engineer of Record, Schneider Structural Engineering, Inc. provides ongoing design team construction coordination with the design team. Coordination of communications and prompt responses to questions is an essential performance requirement. As the Structural Engineer of Record(SER), Schneider Structural Engineering, Inc. provides the jurisdictional code required coordination of special inspections, shop drawing reviews, and answers to contractor construction questions. Schneider Structural Engineering, Inc. has a long list of successful projects that the design and Construction Administration phases have been completed. SSE Download and E-Mail What is a Structural Engineer ? Design Development phase is the engineering, coordination, and the creation of drawings and specifications. Schneider Structural Engineering, Inc. has been the Structural Engineer of Record(SER) as part of a design team on variety of unique and interesting projects. Many dozens of projects have exceeded Ten Million Dollars with some design projects having construction values exceeding $50 million. Schneider Structural Engineering, Inc. has been the Engineer of Record and leading a design team on many of these larger design projects. 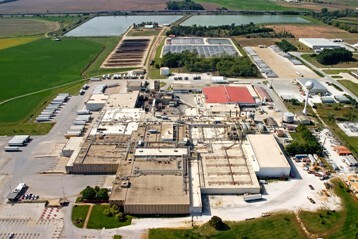 Schneider Structural Engineering, Inc. has gained an exceptional reputation and extensive experience and knowledge in Food Facilities, Meat Processing Facilities, Ethanol, Bio diesel, Heavy industrial Facilities, and other areas of expertise. Kathy and Jerry met at a church sponsored pool party in 1968 fell in love and were married in 1972. Kathy and Jerry conceived three wonderful children, Trisha, Erica, and Robert. Kathy is a registered nurse, RN, and worked two and three nursing jobs concurrently to put Jerry through engineering college and later to support the family to allow the starting of the engineering company Schneider Structural Engineering. Kathleen A. Schneider was indispensable to the founding of the businesses. Kathy’s support and commitment to Jerry and the Schneider family was essential to the starting and ongoing operations of SSE. Kathy is currently the Secretary to the Board of Schneider-Sharples Corporation. Schneider-Sharples Corporation is the parent corporation. Schneider-Sharples Corporation provides the association of structural engineering firms in Omaha. Kathy and Jerry share in the ethical and moral tenants that have been guiding the operations of the companies since their inception. Kathy’s insight, exceptional intuition, support, and recommendations make Kathy an indispensable Partner. Kathy has earned a reputation as a remarkable nurse in surgery and in Labor and Delivery. Kathy has earned the respect and accolades of doctors and patients from around the metropolitan area. 1989 Stephen K Sharples becomes partner in CJ Schneider Structural Engineering. November 1995 – Enayat Schneider Sharples, Inc. (ESS) begins business as a ‘C’ Corporation in Portland, Oregon. September 1999 – Stenstrom Schneider Inc. (SSI) begins business as a ‘C’ Corporation in Dallas, Texas. November 2000 – Enayat Schneider Engineering (ESE) begins business as a ‘C’ Corporation in Denver, Colorado.